Prof. 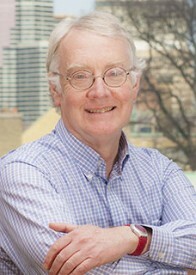 Rob Vipond is a Professor in the Department of Political Science and a former Director of the Centre for the Study of the United States and American Studies program (July 2016 – June 2018). He is interested in political development, especially in Canada and the U.S. This approach spans a variety of subject areas: federalism (Liberty and Community); constitutional theory (“Rights Talk in Canada in the Late Nineteenth Century”); ideational diffusion (“The Civil Rights Movement Comes to Winnipeg”); healthcare (“The Virus of Consumerism”); and the discipline of political science (The Comparative Turn). Vipond’s new book, Making a Global City: Diversity, Community, and Ideas of Citizenship in a Toronto School, 1920-1990, explores changing ideas of citizenship through the history of a Toronto public school.